When Ryan finally arrived to pick me up with the 30 bikes, it was about 10:30pm. I had been sitting in the parking lot waiting for him for over 3 hours at this point. I was hungry, chilly, getting swarmed by mosquitoes and sitting close enough to a French karaoke bar that I could hear every terrible word being warbled. Ryan’s phone was off so I had no way of knowing where he was… By the time he rolled up I was ready to skin him alive and then run him over with the moving van he was driving. I yanked the door open and Ryan said “All right Cogs, lemme have it”. And of course, we both dissolved into hysterical giggles. After loading all the bikes into the moving van and searching for food (nothing says recovery like a Nutella crepe and a beer at 11:45pm, right?) we started the long drive home. A wonky GPS and construction in Grenoble got us home at about 4am. I washed my face and collapsed into bed – how gross is that? The next morning I had planned on sleeping a bit, but decided to get up at about 6:30 to check on Ryan and make sure the group was ready for the day: the plan had been to bus the group to the base of the Col de la Colombiere. They would then ride up to the restaurant at the summit and watch the Tour come through. My plan was to send them off and go back to bed. 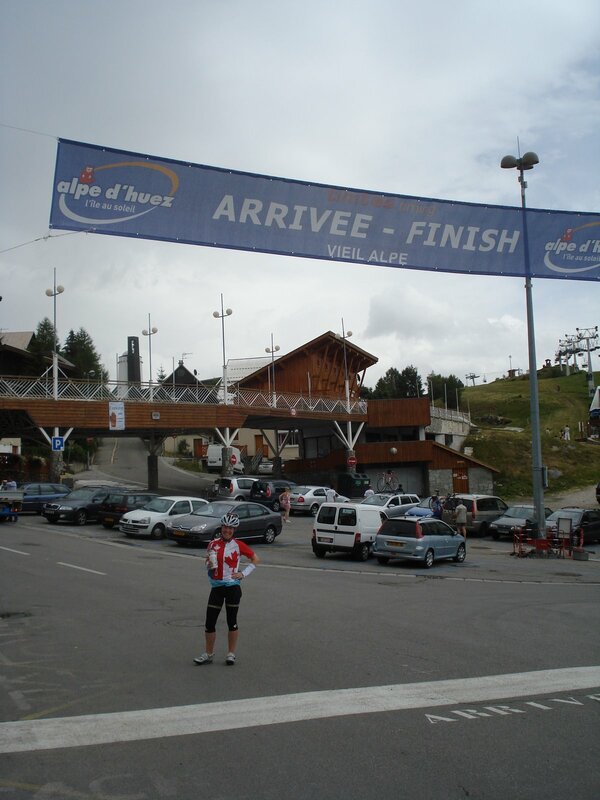 Of course, Ryan had other plans for me… Because many in the group had been unable to ride l’Alpe d’Huez, the group split. 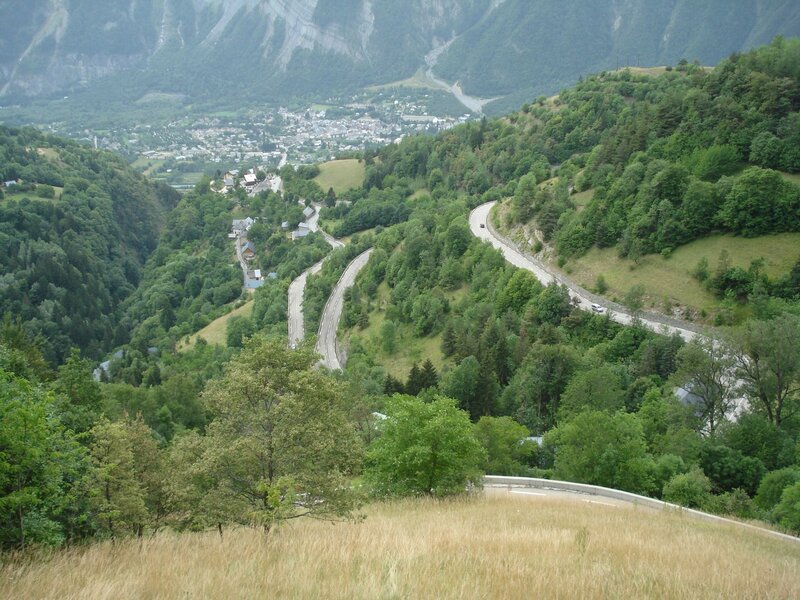 Most would go up the Colombiere, some would take the day off, the rest would come with me to l’Alpe d’Huez. Which of course meant that I got to drive a 9 passenger vehicle on 2 hours sleep through mountain passes! Yay! I slurped down a coffee, threw some gear in a bag, loaded up my passengers and off we went. The nerves were getting to me – I was determined not to get lost or sheer off the mirrors of the van through the passes. I succeeded! 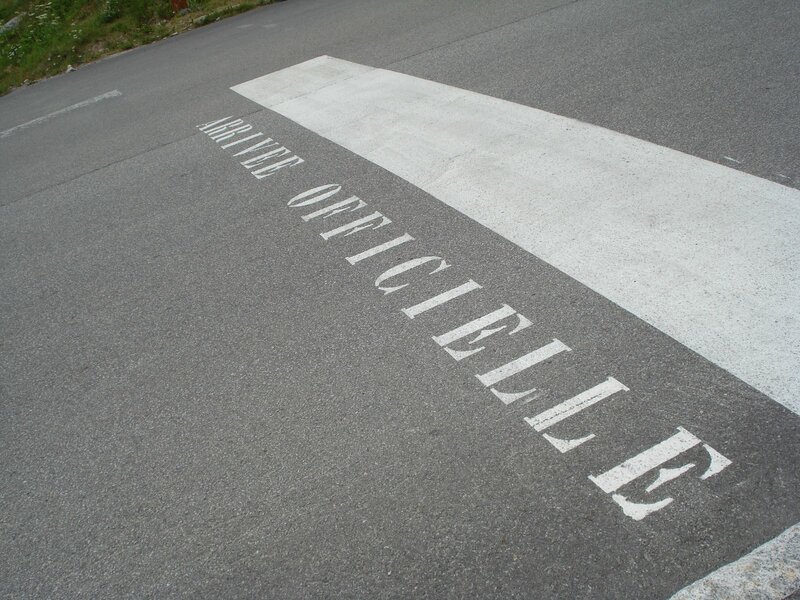 Once in Bourg-d’Oisan, we got everyone organized and off they went up the mountain. I waited for one last client to arrive from another hotel and got my co-guide organized with the “sag wagon”. I finally decided that rather than sit in the parking lot all day (did I mention that at this point there were thundershowers?) I might as well suit up and ride the damn thing. So I did. 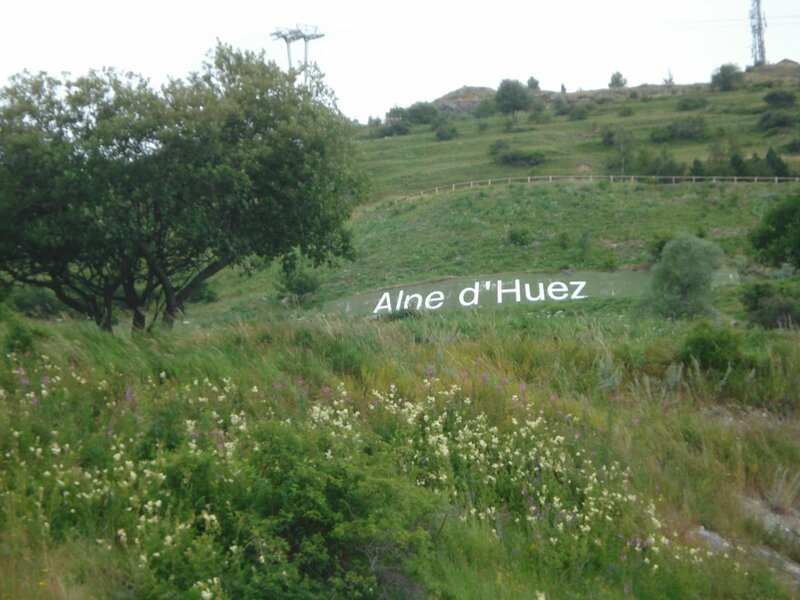 Alpe d’Huez was a really spectacular ride. The grade around the first turn is at about 12% and there are signs at every turn counting down the turns from 21. 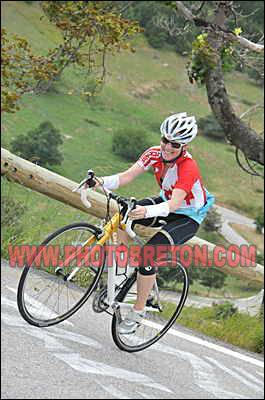 The view of the valley was incredible and the reward at the top was crossing the official “Tour de France” finish line. Everyone was high-fiving and celebrating so it was a really nice end to the day. Coming down was a little nerve wracking (to say I was shaky at this point is like saying sometimes it rains on the west coast). The difference in drivers is remarkable though: someone honked at me and I got all upset – but he was honking to cheer me on! After feeding my gang at a local pizzaria, we loaded up our van and headed back to Megeve. We made it back in time for the group to have dinner and in time for me to get bombarded with questions about the following day, for me to make maps, lists and plans and for me to miss dinner… again! Yeah, I’m too cheap to pay for the orginal. Hot tip: if you want to go to France and make friends, wear a Canadian jersey. People will love you and give you food.